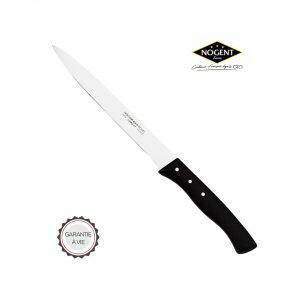 It should be known that this knife has a very thick blade, up to 2.3 mm, ground in bevel all over the width, a molybdenum stainless steel (AFNOR Z50CD14). Degree of hardness 57 Rockwell. It also has an ergonomic handle polypropylene molded on the blade, indémanchable and antibacterial in the dishwasher. Finally, the blade has a triple riveting stainless steel. All conditions are there to have a good time in your kitchen with good tools. Being well equipped is the most important thing to be able to cook properly! 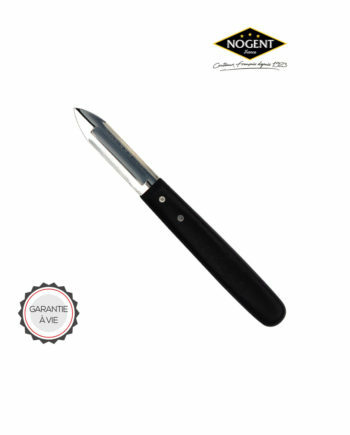 This type of carving knife is thought to optimize the moments of preparation. This knife is designed to penetrate directly into the flesh without damaging the material. 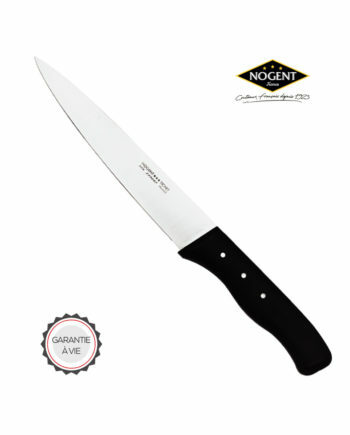 Cutting is an art and this knife is the perfect tool to do the most complete work! The only true “Affidenté®” cutting finish, guaranteeing teeth with 4 teeth to mm practically invisible to the naked eye for exceptional cutting quality. You must also know that thanks to this blade, you no longer have to sharpen your blade! First, the blade is made of hardened stainless steel, bevel ground along its entire length. Indeed, the cutting edge benefits from the Affidenté® technology, ensuring a 4 tooth to millimeter toothing that is virtually invisible to the naked eye for an exceptional cutting quality. 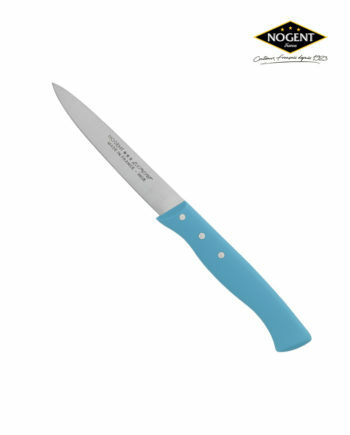 Very comfortable to use, the EXPERT knives do not tear the food, but cut it with precision. So why hesitate? All the conditions are there to have a good time in your kitchen with good tools. Being well equipped is the most important thing to be able to cook properly! This knife is designed to penetrate directly into the flesh without damaging the material. Cutting is an art and this knife is the perfect tool to do the most complete work! In addition, its small size makes it manageable and its color promises an outfit in the assured time. The only true “Affidenté®” cutting finish, guaranteeing teeth with 4 teeth to mm practically invisible to the naked eye for exceptional cutting quality. 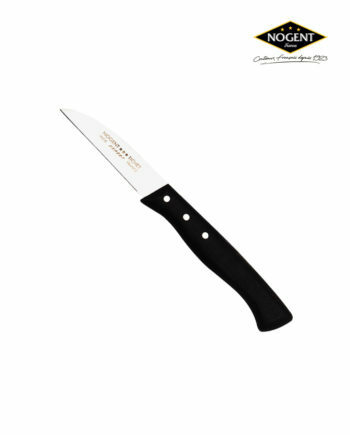 a complete range: single and double edged peelers, paring knives, grilling knives and many large knives for all domestic purposes: deli knives, poultry knives, roasting knives, bread knives, boning knives, .. .
a technical range with unequaled performance: the comfort of a sharp blade (smooth) and the duration of a toothed edge.